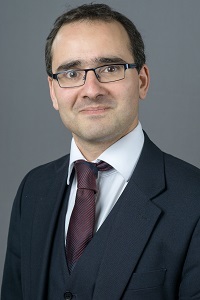 Before joining Chambers, Efstathios was a solicitor with higher rights of audience in a leading firm of solicitors where he gained extensive experience of general crime, fraud and extradition. Since his transfer to the Bar, Efstathios defends and prosecutes in the Crown Court. He is regularly instructed for the defence in a wide range of cases, including violent offences, sexual offences and dishonesty. Efstathios is also regularly instructed by theCPS and has also been instructed as a case presenter by the Nursing and Midwifery Council. In August 2016 Efstathios gave a presentation to trainee police officers on the PACE codes of practice and on disclosure. Efstathios is qualified to accept instructions on a direct access basis in suitable cases. Appeared for the defence in a trial of affray, possession of an offensive weapon and possession of a bladed article. Secured the acquittal of the defendant. Appeared for the defence in a trial where the client was a nurse accused of sexually assaulting a colleague. Cross-examination of the complainant required careful and sensitive witness handling. The jury unanimously acquitted the defendant. Instructed for the defence in a trial of conspiracy to burgle schools. The burglaries occurred in the early hours of the morning over a period of several months and the prosecution relied on cell site and ANPR evidence. Represented a defendant accused of affray and possession of a bladed article in a public place. Following mitigation, the judge was persuaded to sentence the defendant to a suspended period of imprisonment. Successfully defended a client accused of possessing articles for use in fraud. The case against the defendant was dismissed following a successful submission of no case to answer. Appeared for the Prosecution. Secured the conviction of the defendant for assault and criminal damage following a two-day trial. Successfully defended a client accused of grievous bodily harm with intent. At the end of the prosecution case, the prosecution offered no evidence against this defendant while the trial against the three co-defendants continued. Efstathios is regularly instructed in asylum and general immigration cases and frequently appears before the First Tier Tribunal. He recently appeared before the Upper Tribunal where he successfully argued that the Judge at the First Tier Tribunal had made a material error of law. The decision was set aside and the case was remitted to the First Tier Tribunal for rehearing.